Hey I have implement the same code in visualforce page. 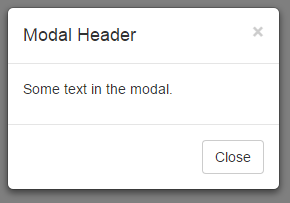 But I am rerender the modal popup up onclick of apex:commandButton. It is not working as I tried to pass myModal id.Also I have pass the form id that is created to hold the modal window code.Modal window is coming but value inside the modal are not displaying.